STEP 1: Is My Toyota Affected by the Takata Airbag Inflator Recall? On May 23, 2016, Toyota filed a new Safety Recall based on recent information from Takata and NHTSA defining specific passenger airbag inflators that may experience propellant degradation. Propellant degradation creates excessive internal pressure when the airbag is deployed and can cause the inflator to rupture. This expansion has been structured with 5 phases and 3 geographic zones. Time, temperature, and humidity have been found by NHTSA and multiple independent investigations to contribute to significant propellant degradation that can lead to an unreasonable risk of inflator rupture. We want to reassure our customers that Toyota has a system in place to address your needs and concerns. The most effective way to determine whether your vehicle is subject to this or any other safety recall which has not yet been repaired is to enter your 17 character VIN (Vehicle Identification Number) in Toyota’s convenient Safety Recall VIN Lookup Tool via the red button below. STEP 2: My Toyota has an Open Safety Recall. What Should I do Next? Completing the “Contact Us About This Recall” form below will start the process. 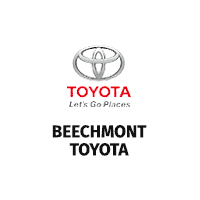 Beechmont Toyota will take your information, verify that your vehicle is affected, order the necessary parts, and confirm this information back to you via the phone number or e-mail you provide below. We want you to be aware that it may take as long as 8-12 weeks before the parts arrive for your vehicle. You will not need to follow-up with us after your parts have been ordered. Once your parts arrive our service team will reach out to you to schedule your Toyota in for replacement of the affected parts. Depending on your vehicle, and the parts required for your recall, this service may take between 1 to 3 hours to complete repairs and have you back on the road. If waiting for your vehicle proves inconvenient we will schedule your appointment for a day when we can provide alternative transportation for you. That’s it. There will be no charge to you whatsoever for completion of this recall. We appreciate your patience while we strive to update all affected vehicles. The subject vehicles are equipped with front passenger airbag inflators produced by Takata. According to Takata, the propellant in these inflators may degrade after prolonged exposure to high absolute humidity and fluctuating high temperatures. Degraded propellant can cause inflator rupture during airbag deployment. In the event of an inflator rupture, metal fragments could pass through the airbag cushion material striking the vehicle occupants, and result in serious injury or death. Which airbag inflators in Toyota and Scion vehicles are affected by this Safety Recall? This Safety Recall only includes certain Takata-produced front Passenger airbag inflators. Only the recall on the RAV4 involves the driver’s airbag inflator. For all other models only the passenger airbag inflators are involved. Are the airbag inflators the only parts being recalled? Actually, you can use Toyota’s VIN look-up tool (link provided on the left) to check your vehicle for ALL potential recalls – including the Takata airbag recalls. Some vehicles listed above may have safety recalls that do not involve the Takata airbag inflators, but it is still important to have them performed. Do I have to take my vehicle to a Toyota dealership to have this recall performed? Yes. Toyota dealerships are the only places authorized to complete the Takata Airbag Inflator Recalls for your vehicle. This is based on the availability of replacement parts. Right now, it can take between 8-12 weeks before the parts arrive for your vehicle. How long will the recall service take? Once the parts arrive for your recall, the repair itself can take between 1-2 hours, and then a little extra time to complete the paper work and get you back on the road. Expect no longer than two and a half hours. What happens when the parts arrive for my vehicle? When your parts arrive at the dealership, we will call to schedule your appointment at a time and date convenient for you. Once the parts arrive for my vehicle, can I wait at the dealership for the work to be completed, and how long should I expect to be at the dealership? You are welcome to wait, although you should expect that the recall may take as long as 2 hours to complete. If you have additional questions or concerns go to www.toyota.com/recall, or please contact the Toyota Customer Experience Center at 1-888-270-9371 Monday – Friday, 5:00 am to 6:00 pm, or Saturday 7:00 am to 4:00 pm Pacific Time.